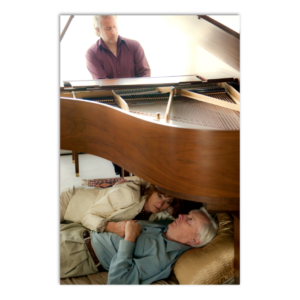 View cart “Individual Under the Piano Package” has been added to your cart. Warm Nurturing Sounds for You & Your Baby to Share for Years to Come. Lie on a bed of pillows beneath a gorgeous Grand Piano as soothing, healing vibrations wash over you. Under the Piano is recommended especially for babies in their 3rd term when hearing is developed. 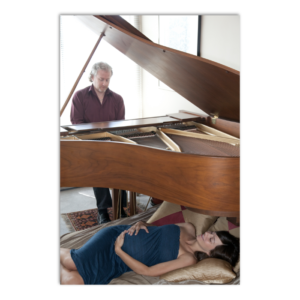 40 to 45 minutes of delicious music improvised just for you and your baby…a minimum of 5 unique songs all your own. An MP3 recording of all your songs to play for yourself and your baby any time you like. Check out my gift certificates for birthday, wedding & shower gifts. 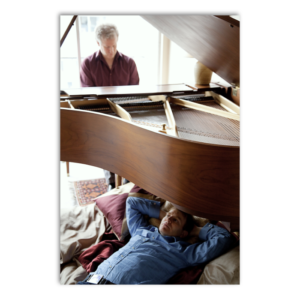 You may also book and pay with credit card by phone at 604-662-3053 or send INTERAC eTransfers to Craig@UnderThePiano.ca (please confirm availability of the time you want before sending payment). If sending an eTransfer, remember to include the GST. $175 + $8.75 = $183.75.